Zeiss are developing their own full-frame compact system camera, the Zeiss ZX1. 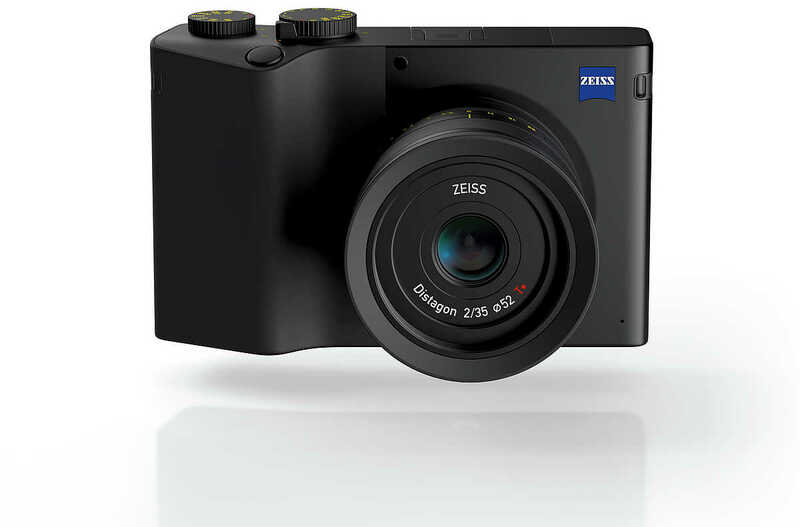 First full-frame camera from ZEISS with first-class image quality and the familiar, intuitive image editing and connectivity of a smartphone. ZEISS ZX1 – That is the name of the newly developed mirrorless full-frame camera from ZEISS that was presented today in Cologne, Germany. Thanks to the ZEISS lens and a sensor developed in-house at ZEISS, the camera delivers first-class image quality combined with an operational concept and user experience that make the photographer’s jobs-to-be-done as intuitive as on a smartphone. The ZEISS camera concept is just the first step to opening up a new world of possibilities for ambitious photographers – from taking the shot to editing the image and sharing it on the web. SHOOT: the ZEISS ZX1 features a newly designed, integrated ZEISS Distagon 35 mm f/2 T* lens with autofocus that has been perfectly matched to the 37.4 megapixel full-frame sensor developed in-house at ZEISS. The interplay between the lens and sensor ensures first-class picture quality with that typical ZEISS look. EDIT: The ZEISS ZX1 enables photographers to professionally process RAW images directly on the camera thanks to fully integrated Adobe Photoshop Lightroom CC. Moreover, the ZEISS ZX1’s unique user interface supports the user’s particular workflow without any interruption – providing direct access to the most frequently used functions via a 4.3″ multi-touch display. SHARE: when the networked full-frame camera is connected, the user can upload selected images directly to the internet – without the intermediate transfer to memory cards or other external devices. 512 GB of internal memory provide sufficient space for approximately 6,800 RAW files (DNG) or over 50,000 JPGs – more than enough to handle photos, even during a longer trip, and giving the photographer the chance to let their creativity flow. Versatile connectivity options such as Wi-Fi, Bluetooth and USB-C ensure that various peripherals can be connected. Over-the-air software updates keep the camera up to date without requiring a computer connection. Designed with a passion for detail and a focus on the essentialsThe design of the ZEISS ZX1 is characterized by its iconic shape with carefully crafted details. The overall form and reduction to just those elements that are absolutely necessary lay the foundation for an ergonomic camera and ensure easy handling. The symbiosis of hardware and software is exemplified by the newly defined user interface that utilizes the 4.3″ multi-touch display. The slightly bent screen separates the live view from the control elements, making camera operation comfortable and straightforward. “We know that we exploring new ways and initially addressing a special target group with the ZEISS ZX1. With our concept we are focusing on ambitious, professional creatives who want to produce their photographic experiences quickly and efficiently, and inspire as many people on the Internet as possible. This requires a streamlined workflow in addition to high-end features. This is exactly what the concept of the ZEISS ZX1 offers,” explains Jörg Schmitz, Head of the Consumer Products business group at ZEISS. Cologne (Germany), 25. September 2018 – Panasonic Corporation has developed two models of its first Digital Single Lens Mirrorless camera with a 35 mm full-frame image sensor: the S1R and the S1. These models are equipped with the world’s first*1 4K 60p/50p video recording function and the Dual I.S. image stabilization system. As part of the LUMIX S series, Panasonic aims to release them on the global market next spring, as announced during Photokina 2018. For 100 years, Panasonic has strived to help realize better lives for customers around the world by responding to their needs. Working on the concept of creating a new culture of photography for a digital age, in 2008 Panasonic released the G1, the world’s first*2 Digital Single Lens Mirrorless camera. Over the last ten years, Panasonic has continued to lead the industry with product innovations. This has included the world’s first*3 camera supporting 4K video recording, and cameras equipped with the Dual I.S. image stabilization system; combining stabilization both inside the camera unit and the lens. In more recent years, the sharing of video via social media has gained in popularity. More and more people are also enjoying a hybrid of photos and videos, expanding the range of expression in the production of content. A new type of camera has been needed for this new field that goes beyond the boundaries of photos and videos. Against this backdrop, Panasonic adopted the concept of ‘Fuel the Photographers’ creative vision’ to develop a Digital Single Lens Mirrorless camera with a comprehensive focus on this need. 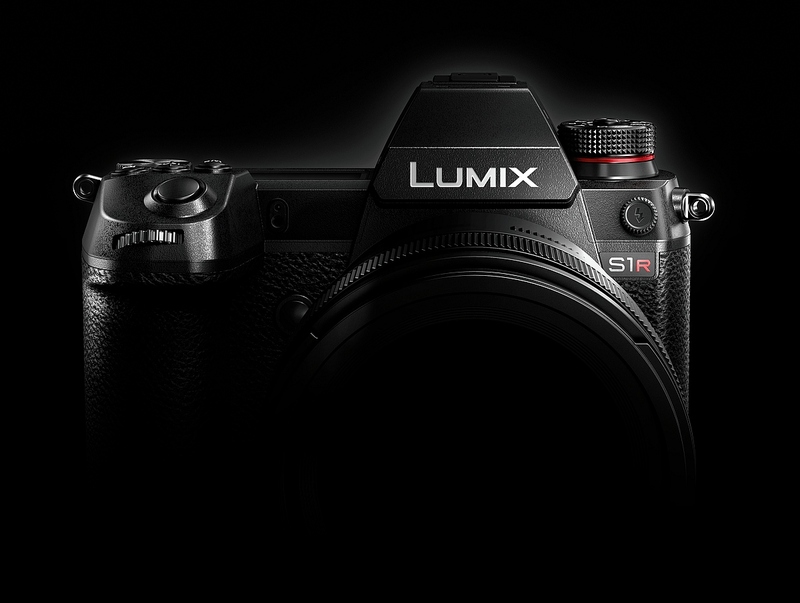 These cameras will form the LUMIX S series with a powerful sense of striving to provide specialized value to customers desiring high expressiveness. The cameras have the user-friendliness and robustness essential as tools for photography or videography by professionals. They incorporate an entire array of our technology refined over a century in the consumer electronics business and ten years developing Digital Single Lens Mirrorless cameras. Such innovations include digital technology like image or signal processing, plus optical and heat treatment technology and more. The combination of these will provide our customers with new value for photography and videography. The key features of the newly developed S1R and S1 cameras are as follows. World’s first*1 support: for 4K 60p/50p video recording in a full-frame Digital Single Lens Mirrorless camera. World’s first*1 full- frame camera equipped with Dual I.S. image stabilization: enabling handheld shots for dark or distant scenes that would previously have required a tripod or other equipment. A rugged triaxial tilt LCD: emphasizing ease of use and supporting professional photography and videography. An unlimited scope of applications: Leica Camera’s L-Mount, making it possible to use replacement lenses that meet the L-Mount specifications of the partners*4 Leica Camera and Sigma. Expressiveness is further enhanced by increasing options for replacement lenses. Panasonic will also expand its line-up of LUMIX S series compatible lenses, developing more than ten by 2020, including a 50 mm/F1.4 fixed-focus lens, 24-105 mm standard zoom lens, and 70-200 mm telephoto zoom lens. For the LUMIX G series of Micro Four Thirds Digital Single Lens Mirrorless cameras, Panasonic will begin developing a Leica DG VARIO-SUMMILUX 10-25 mm F1.7 lens that will achieve the world’s first*5 zoom with a constant aperture value of F1.7. On top of this, the support services for professional photographers and videographers, which started in Japan in April last year, will be available in selected European markets and the United States this fiscal year. for 4K 60p/50p video recording, and the world’s fastest autofocus*7 function using the company’s proprietary DFD technology. Panasonic will continue to provide new value to customers through the unique features of the compact yet high-definition LUMIX G series, while also reaching the professional market through the introduction of the full-frame LUMIX S series and the greater reach of our support system. Through these measures, Panasonic will continue to transform the culture of photography and videography. The products in development in this release will be exhibited at Photokina 2018*8. *1. World’s first support for 4K 60p/50p recording in a full-frame Digital Single Lens Mirrorless camera. Regarding the inclusion of the Dual I.S. image stabilization system, this is for a full-frame Digital Interchangeable Lens System Camera: As of September 25, 2018 when announced at Photokina (Germany), according to Panasonic data. *2. For a Digital Interchangeable Lens System Camera: As of September 12, 2008, according to Panasonic data. *3. The GH4 Digital Single Lens Mirrorless camera capable of 4K video (as a Digital Single Lens Mirrorless camera, as of February 7, 2014), and the GX8 Digital Single Lens Mirrorless camera with Dual I.S. 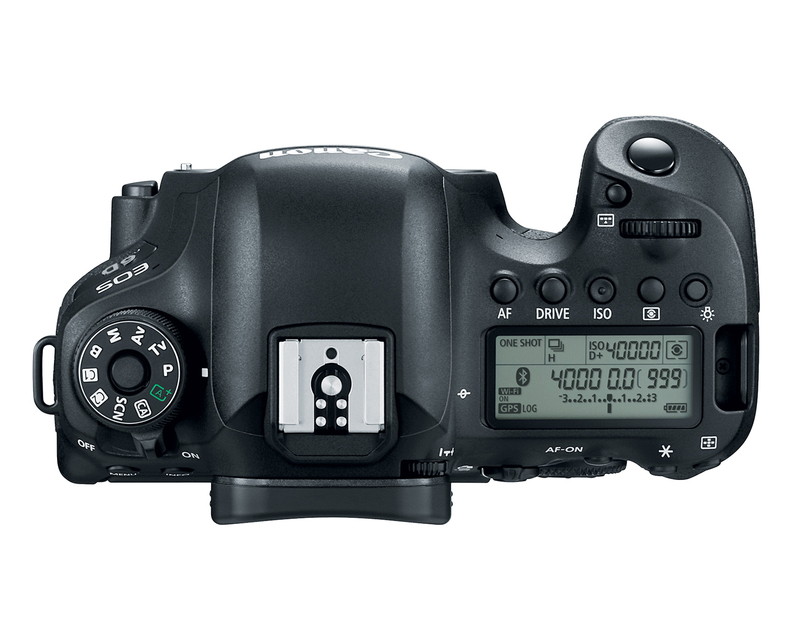 onboard (as a Digital Interchangeable Lens System Camera, as of July 16, 2015) according to Panasonic data. *4. “The L-Mount Alliance: a strategic cooperation between Leica Camera, Panasonic and Sigma”(announced on September 25, 2018 in Germany. *5. For an interchangeable lens for use with a Digital Interchangeable Lens System Camera. As of September 25, 2018 when announced in Germany, according to Panasonic data. *6. As a Digital Single Lens Mirrorless camera. As of January 4, 2017, according to Panasonic data. *7. For a Digital Interchangeable Lens System Camera. As of November 8, 2017, according to Panasonic data. *8. Photokina is a leading exhibition for the photographic and imaging industries (held in 2018 from September 26 to September 29, at the Koelnmesse in Cologne, Germany). • Leica is a registered trademark of Leica Microsystems IR GmbH. • SUMMILUX and L-Mount are registered trademarks of Leica Camera AG. 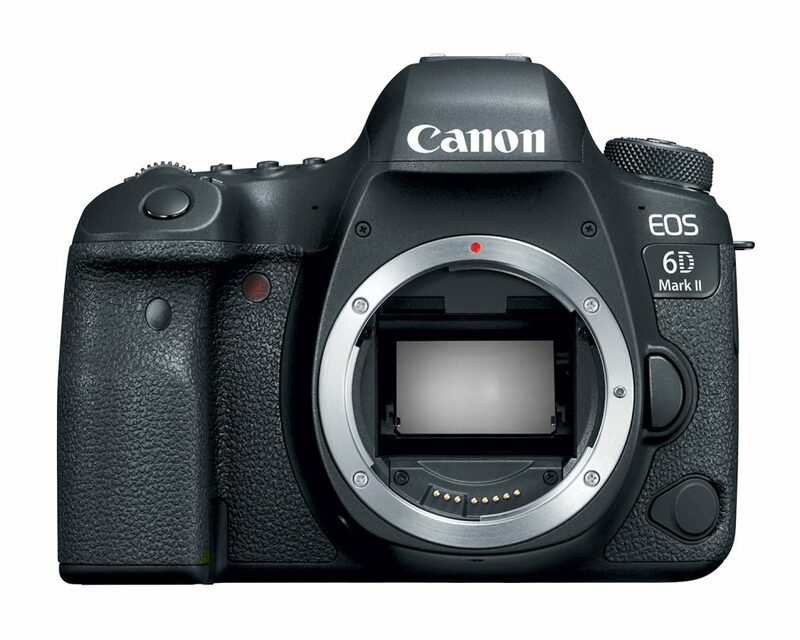 United Kingdom, Republic of Ireland, 29 June 2017 – Canon has today unveiled the highly anticipated EOS 6D Mark II, the latest addition to Canon’s full frame DSLR line up, designed for both passionate hobbyist and professional photographers. Successor to Canon’s EOS 6D, the EOS 6D Mark II features Canon’s latest generation technologies and is designed for a range of specialist photography categories, from travel to portraits. It offers huge advancements to users allowing greater shooting possibilities, additional control and flexibility to achieve their photography vision. The EOS 6D Mark II has been developed following feedback from users, and as such, will enable photographers to go beyond their limits as they take their creations further. With its new full frame 26.2 Megapixel CMOS sensor, DIGIC 7 processor, 45 point AF system and Dual Pixel CMOS AF technology, the EOS 6D Mark II delivers the highest quality images fulfilling the needs of both professionals and hobbyists alike. 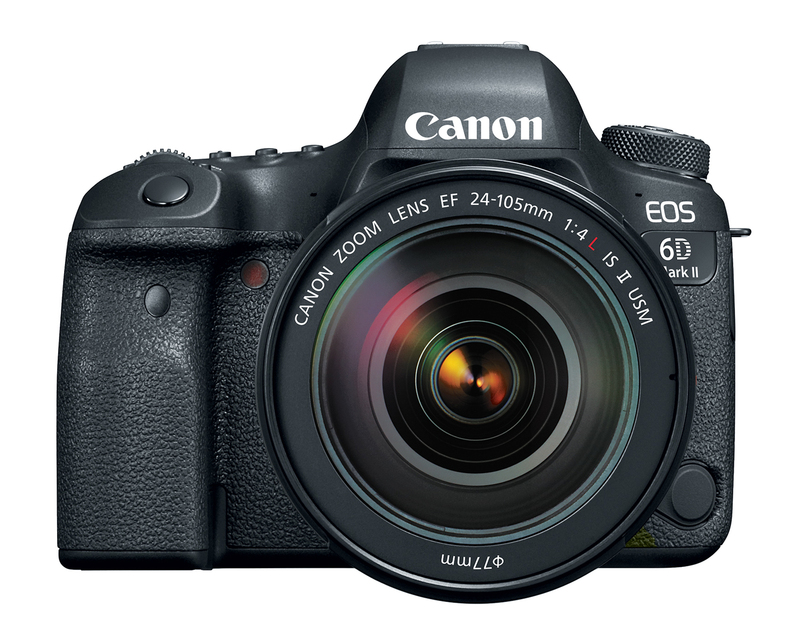 With a new 26.2 Megapixel CMOS sensor, the EOS 6D Mark II offers unrivalled image quality and improved performance. Its high dynamic range ensures exceptional exposure latitude so users can push boundaries when shooting in bright light conditions. The improved ISO 40,000, expanding to ISO 102,400, allows flexibility so documentary photographers can snap scenes with the confidence that details will be retained even in the darkest nights. 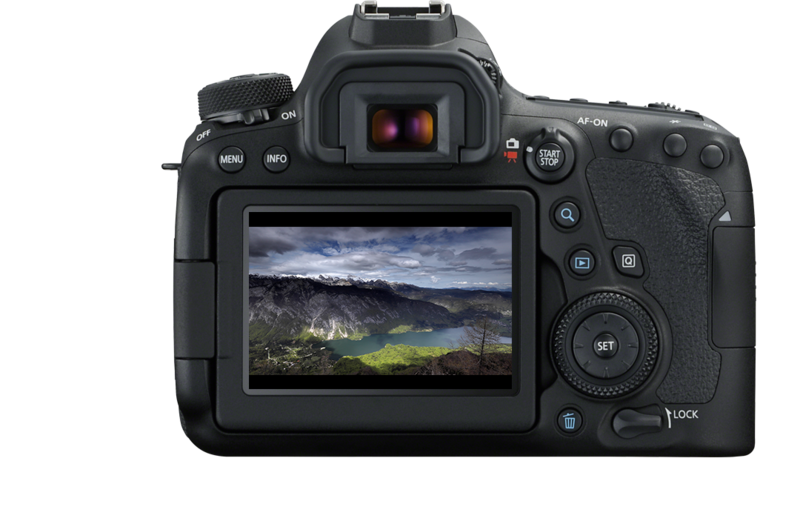 The latest DIGIC 7 processor creates high quality files straight from the camera. 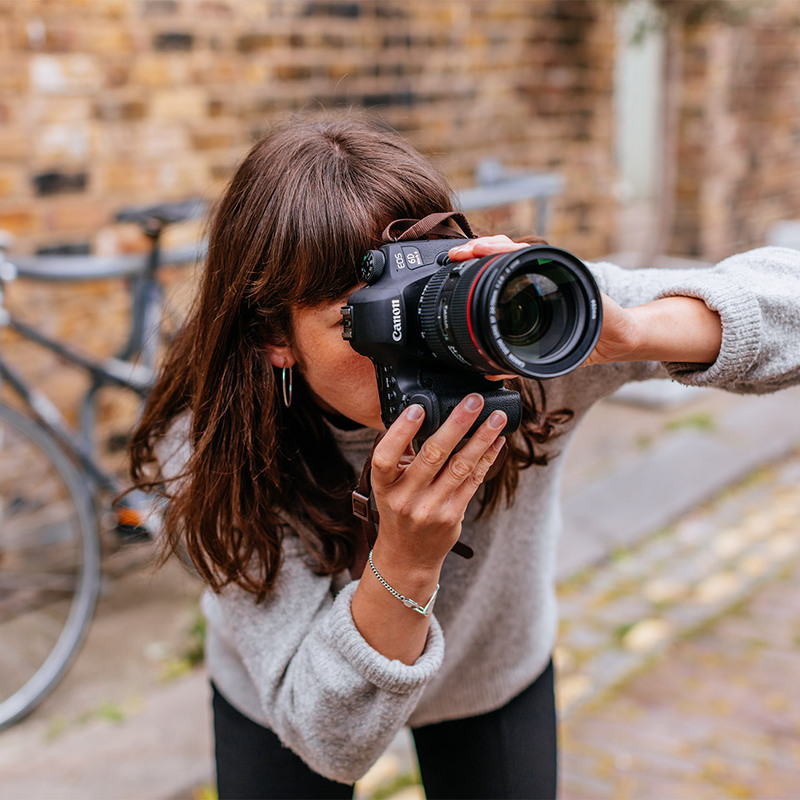 With the EOS 6D Mark II users can achieve greater control over their creative vision thanks to the 45 point AF system, which can be customised and allows more precise tracking. Alongside DIGIC 7’s image processing advancements, the EOS 6D Mark II can predict the movement of a subject across the frame and respond rapidly. When combined with the 6.5 fps, the EOS 6D Mark II opens a whole new range of possibilities. The EOS 6D Mark II’s new AF system retains the ability to accurately lock onto subjects even in the lowest lighting, perfect for portraits in diminishing ambient lights. Canon’s renowned Dual Pixel CMOS AF technology allows for high performance tracking as well as smoother focusing, and shorter focusing times, for movies. These features are a great advantage for shooting macro and product photography aided by the Live View screen. The EOS 6D Mark II is the first full frame EOS camera to include built-in 5-axis movie stabilisation that counteracts shake when footage is captured hand-held and on-the-move. The vari-angle LCD touch-screen allows users to switch focus at the tap of the screen and reach tricky angles when shooting unusual perspectives or in a crowd. 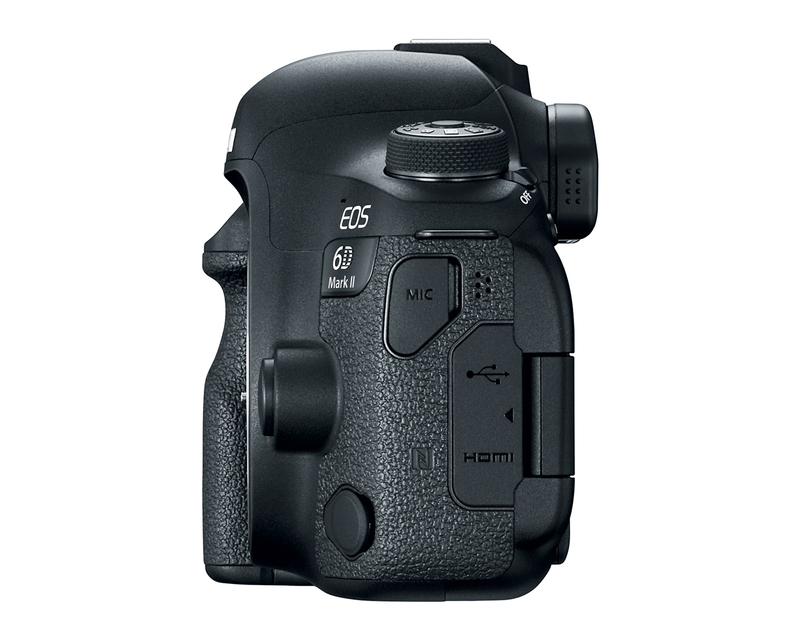 Offering even smarter connectivity, the EOS 6D Mark II boasts Wi-Fi and Bluetooth[i] for an always on connection. Giving users even more flexibility when transmitting images to smart devices, users can easily share their work to speed up their workflow. Its capabilities allow photographers to control their camera from their smartphone to shoot images or video remotely; advantageous for users cautious of distracting their subject with movement, such as a resting butterfly. The built-in GPS keeps track of location, allowing you to automatically chronicle the destinations in which you create your stories. 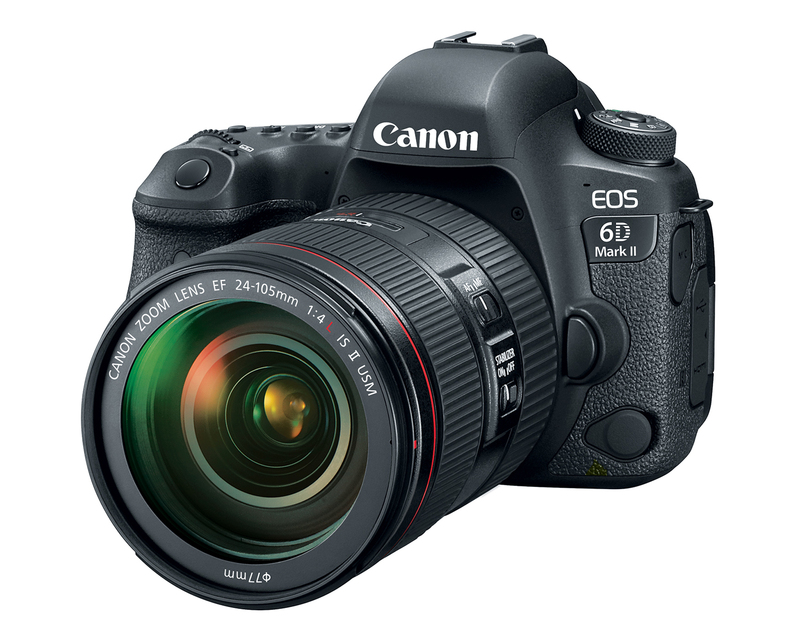 The EOS 6D Mark II is a compact and lightweight full frame DSLR camera. It is resistant to dust and moisture, making it ideal for on-the-go shooting whilst offering top performance to complement users’ needs. 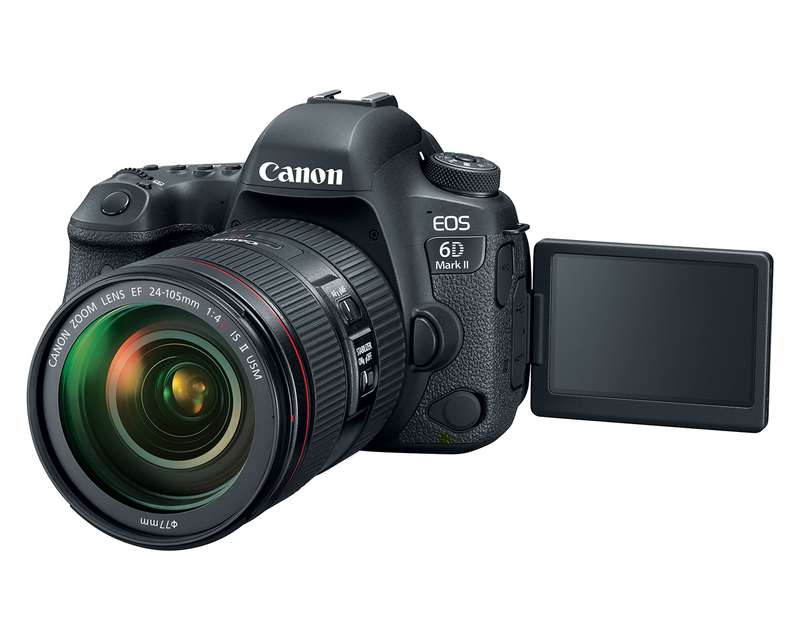 The EOS 6D Mark II is the first camera from Canon to have both 4K time-lapse movie mode and intervalometer for more diverse movie making. Getting creative is made even easier and capturing footage in up to 4K resolution is ideal for shooting star-scapes in brilliant detail. The built-in intervalometer gives users maximum possibilities when editing their time-lapse movies. BG-E21 is a bespoke battery grip for EOS 6D Mark II which can hold two battery packs simultaneously, and is compatible with both LP-E6N and LP-E6 battery packs. By improving the camera’s battery life BG-E21 doubles the number of possible shots. 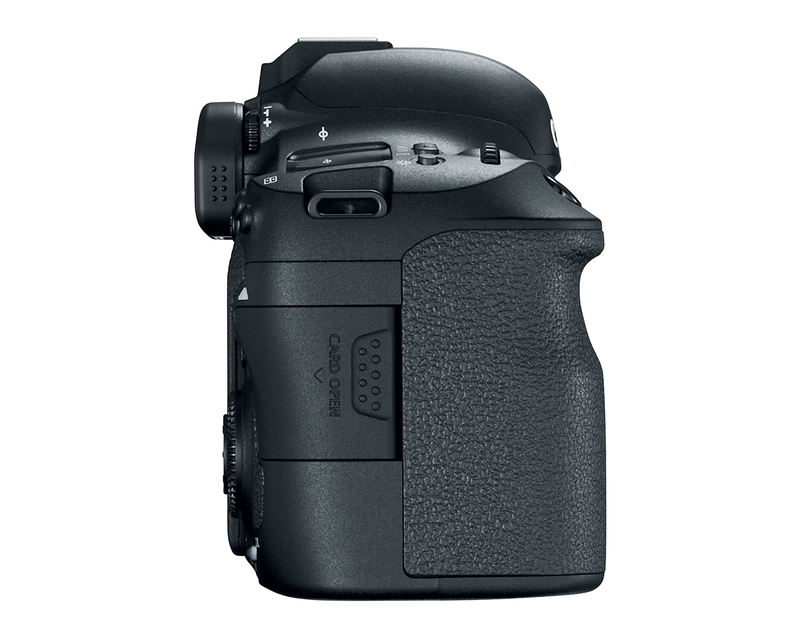 BG-E21 replicates the buttons of the top right body of EOS 6D Mark II. This means that the camera can be used in exactly the same way when shooting vertically, ensuring the ergonomics is not hindered. Users will also help to provide better handling and balance when shooting with heavier lenses. [i] Always-on connection between smart device and camera via Bluetooth® requires initial set up with Canon Camera Connect app. Stability of the Bluetooth® connection depends on model of smart device and other environmental factors. The Bluetooth® word mark and logos are registered trademarks owned by the Bluetooth® SIG, Inc. and any use of such marks by Canon Inc. is under license. Other trademarks and trade names are those of their respective owners. Requires Bluetooth® version 4 or later and iOS 8.4, Android 5.0 or higher. Contrary to the assumptions of some, Sony hasn't quietly left behind its unsuccessful DSLR-based Alpha SLT system. Instead Sony has made its new Alpha 99 Mk II a flagship camera. Sony today introduced two new full-frame lenses for their E-mount camera system, the FE 70-300mm F4.5-5.6 G OSS telephoto zoom and 50mm F1.8 prime lens.